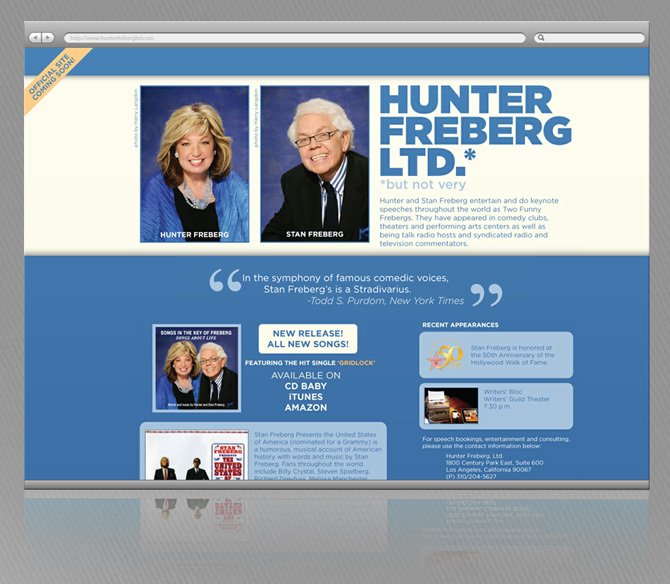 Website design for legendary advertiser, comedian and writer Stan Freberg. Mr. Freberg boasts an impressive career and achievements including 21 Clios, voicing over 400 Disney and Warner Brothers cartoons, a star on the Hollywood Walk of Fame, and induction into several halls of fame. Ogmog provided the multiple Grammy and Emmy Award winner with a simple, yet elegant, home on the internet as well as private consultation regarding additional social media presences.